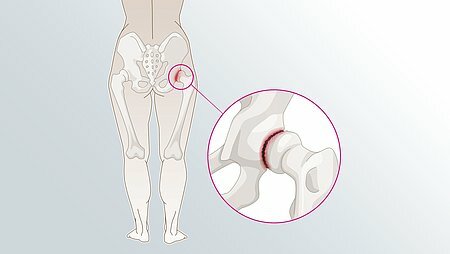 When the joint is dislocated, the ligaments that stabilise the joint are often torn. The joint capsule and muscles are separated. Depending on the extent of the dislocation, the otherwise tightly connected bones in the joint move against each other. In particular, the outer collateral ligament complex, which consists of several collateral ligaments, is usually affected by injuries. The diagram shows a right elbow joint viewed from the outside. It also shows the external ligament complex, which consists of several ligaments and can tear in the event of a dislocation. In severe cases, dislocations cause both torn ligaments and a fracture of the bone involved in the joint structure (elbow dislocation fracture). These are humerus, radius and elbow ulna. 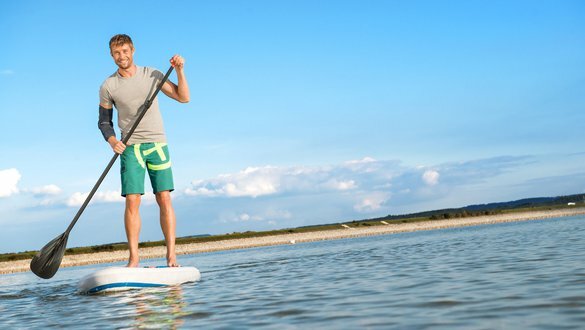 Instability means that the joint is no longer stable due to injury to the capsule, ligaments and muscles, and thus is limited in its function. It hurts and the articular cartilage may be damaged, which can lead to premature wear (arthrosis) of the joint. The cause of a dislocated elbow are accidents in which there is a high impact on the joint. Instabilities are usually caused by ligament injuries. 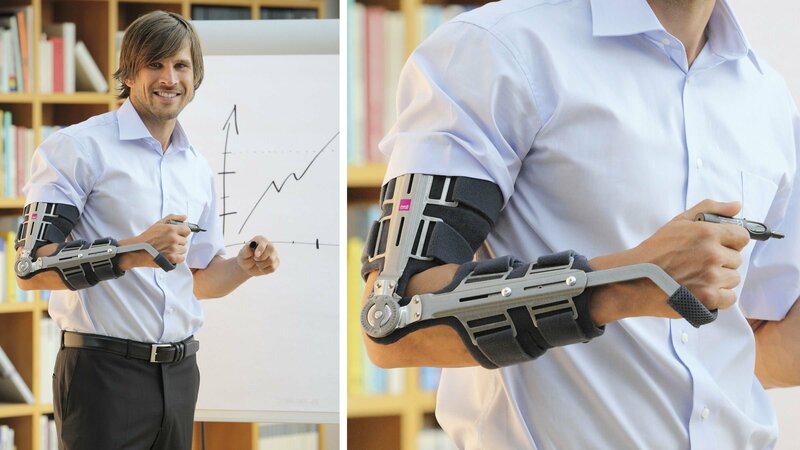 These can arise acutely – usually after a dislocation (luxation) or fracture (elbow fracture) has been caused. In almost one third of cases, instabilities of the joint remain after dislocations. If the elbow is dislocated, there is a malposition of the joint, and movement is restricted. The patient suffers from severe pain and the elbow is usually swollen. Often the pain also radiates into the neighbouring regions of the body. If the elbow dislocation is not treated, numbness and sensory disturbances or sensitivity problems may occur, which may spread to the arms and hands. A frequently recurring load and/or stress, for example in overhead sports, can lead to chronic damage to the ligaments, resulting in instability. Instabilities can be also a consequence of treatment with cortisone injections or surgery on the elbow. Falls are hardly foreseeable and therefore are difficult to avoid. Therefore, it is difficult to prevent an elbow from becoming dislocated. 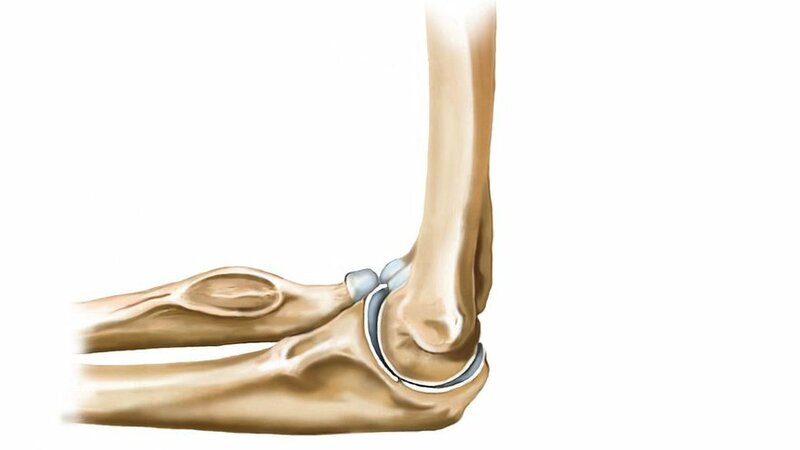 People with innate instability of the elbow joint or with habitual dislocations (which occur repeatedly when moving and exercising and without any force applied) should spare the joint unnecessary exertion and avoid risks. The tendency to develop joint stiffness is higher for the elbow than for other joints. Therefore, early functional treatment of the dislocation and instabilities with rapid mobilisation is crucial. Continuous monitoring by the doctor treating the patient is important in order to adapt the therapy accordingly. The most crucial measure after a dislocation is the relocation of the elbow (reposition) to avoid damage – especially to vessels and nerves. This is usually done in a clinic after previous X-ray diagnostics. What must then be established is the type of damage done to the joint. This can be discovered by a magnetic resonance tomographic (MRI) examination, possibly also by a computed tomography (CT). Light ligament injuries can be treated as non-surgical (conservative), often using a stabilising brace. Severe injuries usually have to be operated on. As part of the operation, bones are knit back together again, and ligaments sewn or reinforced by other tendons. Depending on the degree of instability, in mild cases treatment is mainly physiotherapy. In severe cases, an operation to stabilise the joint is required to ensure painless use of the joint and prevent further damage. 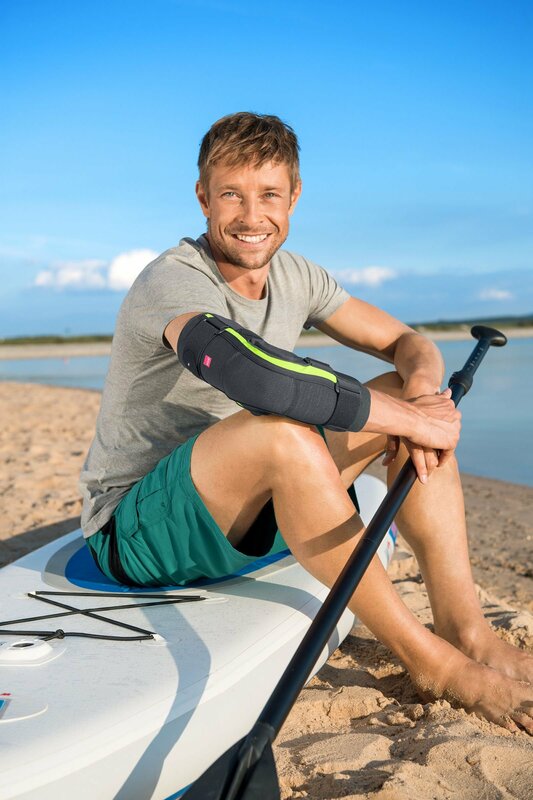 For conservative and postoperative treatment, medi provides doctors and patients with a range of aids to stabilise the elbow.